Compliance, Inc. prides itself on its ability to solve complicated problems, maintain excellent customer relations and produce a product with clear value. Our multi-skilled staff of geologists, engineers and environmental scientists provide sound consulting services. 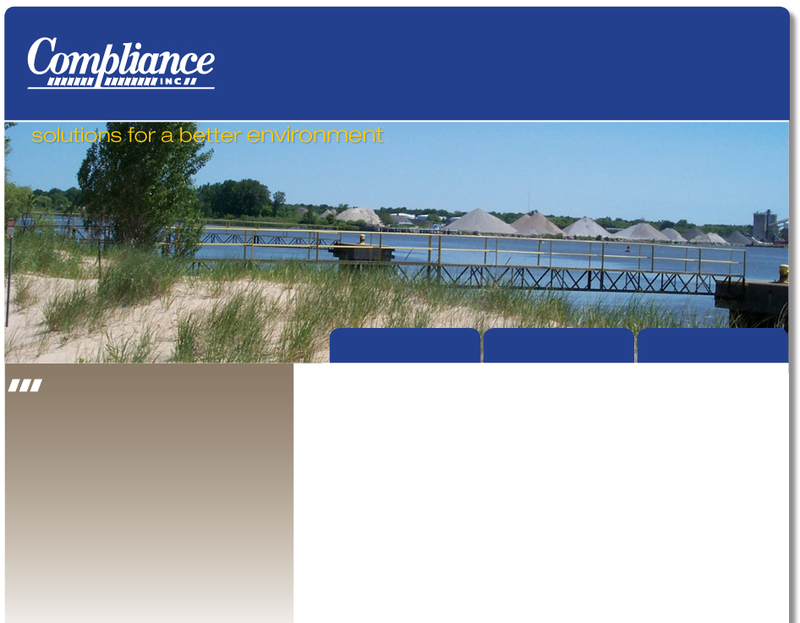 Private and public clients from around the Midwest have worked with Compliance, Inc. since 1993. Compliance, Inc.’s environmental consulting and engineering services encompass a broad range of specialties focusing on the identification, management and elimination of risks posed by chemicals released into the environment. Providing Professional Environmental Services to Commercial and Industrial Clients since 1993.